Ault Park is the Township of South Stormont’s oldest park, having been established in the former Township of Cornwall in 1914. 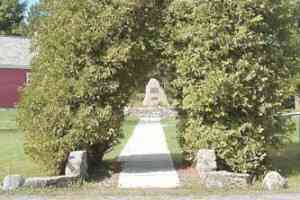 The “original” Ault Park, situated on Sheik’s Island, Cornwall Township, was inundated on July 1, 1958. 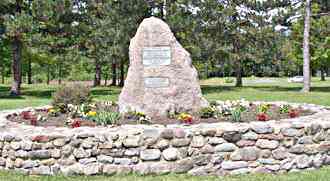 The Ault Stone was moved from Sheik’s Island to the mainland prior to the inundation. 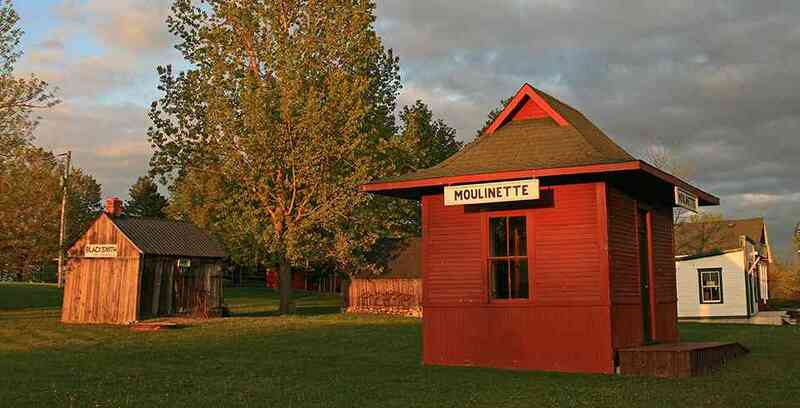 The Lost Villages Museum is located in Ault Park on Fran Laflamme Drive, 3 kilometres east of Long Sault, Ontario. The museum site consists of ten heritage buildings, moved and restored to Ault Park from The Lost Villages and surrounding townships by the members of The Lost Villages Historical Society. Both the interiors and exteriors of the buildings have been restored, and they have been assembled in a village-like setting at Ault Park. The buildings commemorate the inundation of lands to the south of the museum complex on July 1, 1958. Hours are 10:00 a.m. to 5:00 p.m. However donations are very much appreciated. During your visit, stop by the General Store and pick up a copy of our self-guided walking tour. Browse the museum site at your leisure using our information guide, or your mobile device, as our website is now compatible.